Years of Line Production and working on our own films has taken across, around and backwards all over India. From the remotest villages, jungles, mountains, the desert to underwater. 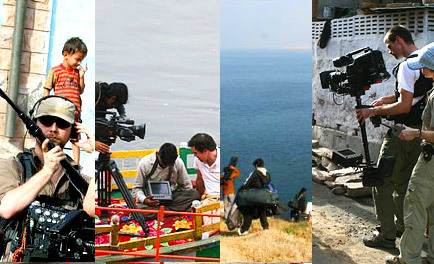 With our experience in the field and wide network we can make your dream production come true! Riverbanks is a one stop production house and provides complete co-ordination for any size production in India. From concept development, research and permissions, rentals to actual shoot and production co-ordination – we have the complete Line Production solutions you’ll need. Making our own productions and films for the past 40+ years, a diverse network and production experience across the country makes us understand and deal with the urgent needs of a production better. Need help developing an idea or do a quick recce before coming down? Let us know and we can get it done within budget and time.